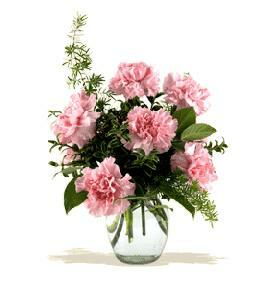 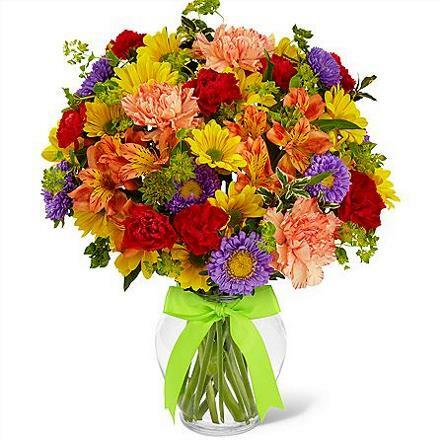 Deliver a lovely pop of color with these bright and beautiful blooms. 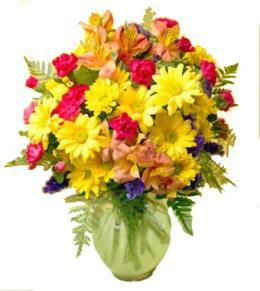 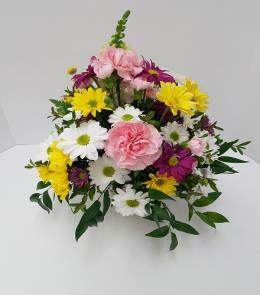 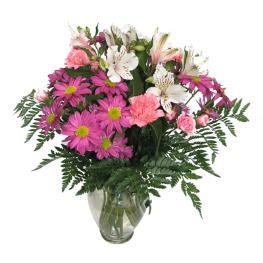 Orange carnations, yellow daisies, and red mini-carnations are accented with lavender asters and a touch of greens. 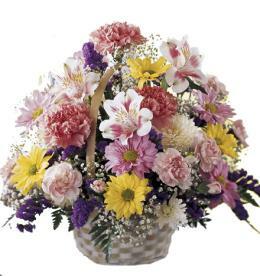 Perfectly arranged in a clear glass vase, this light and lively pop of color is perfect for a birthday celebration, thank you, or get-well gift. 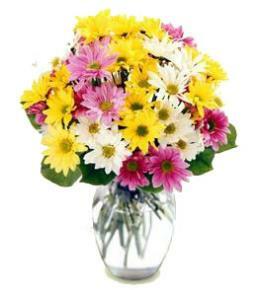 Budget Fall and Autumn Flowers - Light & Lovely in Vase.